How Long Does a Copyright Last? What Works Are Public Domain? How Long Does a Copyright Last? What Works are Now Considered Public Domain? 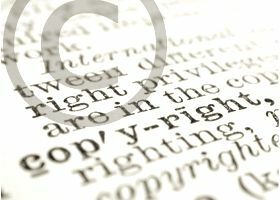 Copyrights are in force for a considerable length of time under United States law before a work enters into the public domain. Copyright durations are affected by when a work was created, whether or not it was ever published, and whether or not the creator/author has died. Additionally, if an author has died, but the date of death is not known, different laws apply. Works Created Prior to 1978: Works published after 1992 but before 1978 are considered copyright protected for 95 years from the date the work was first published (see note*). Unpublished Works Created Before 1978: An unpublished work that was created before 1978 is still protected under copyright laws for the life of the author plus an additional 70 years after the author's death. *Note: Different facets in copyright laws change how and when the above general expiration dates apply. For example, works published without proper notice before 1989 may already be in the public domain because proper copyright procedures were not followed. Additionally, copyrights may be renewed for certain lengths of time, thereby extending the natural expiration date. Unpublished works created by authors who died before 1945 are now public domain. Copyrights automatically protect unpublished works for the life of the author plus an additional 70 years after his/her death. Unpublished works by deceased authors, but date of death is not known. All works created before 1895 are now public domain. If an author has died, but there is no record of the exact date of death, his/her unpublished works are protected by copyright laws for 120 from the date the work was created. Anonymous works, works created under pseudonyms, or that were created under work-for-hire status. Works created before 1895 are now in the public domain. There are no universal copyright laws that apply in all countries. You should always check current copyright laws in the country where you reside or are planning to establish right to your works. Anything you create, or conceive, that is an original “form of expression” is automatically copyrighted under United States law. Generally, this automatic copyright protection is good for fifty (50) to seventy (70) years throughout the world. In the United States, current copyright laws protect individual authors for creations rendered on or after January 1, 1978, beginning the day the work was created. This automatic copyright lasts for seventy (70) years after the author’s death. Legislation on copyright laws is always subject to change. For example, U.S. law used to require that copyrights be renewed every twenty-eight (28) years. Any copyrighted material that was published before 1964 that was subject to the 28-year renewal law, and has not been renewed, is now public domain material in the U.S.
Additionally, all books and other published works prior to 1923 are now also considered public domain in the U.S. These laws only pertain to material published inside the United States, that were created by U.S. citizens, or someone residing legally in the country at the time of U.S. publication. Additionally, Fair Use laws also permit people to use works in limited ways without obtaining permission from the author. Copyrighted materials from other countries are still protected as long as the person is a non-U.S. citizen, and still holds their copyrights in their own country.